The natural order makes the heart command the brain, but some people manage to live the other way around. When we disrupt this pattern bypassing the heart and decide from the brain alone we can get what we think we want and feel dissatisfied. Moreover, to choose our own path and change our lives according to Dr. Joe Dispenza “a person needs to marry a clear intention (coherent brain) with an elevated emotion (coherent heart)” that could be the difference between rewarding vs dreadful relationships, or a soul-sucking job vs a thriving career. As stated by William Schiemann, CEO of Metrus Group, in his book Fulfilled! 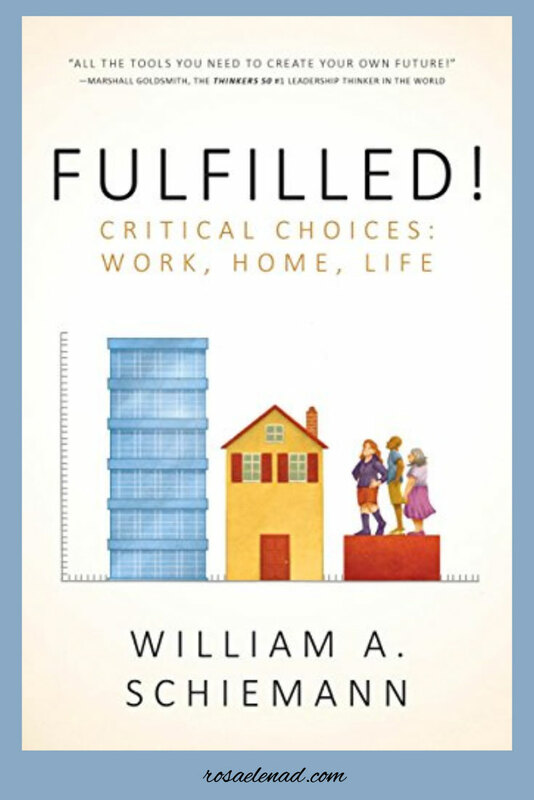 Critical Choices: Work, Home, Life most of his research points out to career and relationship achievements as primary choices for fulfillment. However, there are different paths to choose from, for instance, Jeremy and Winnie planned and retired in their 30s to travel the world. Know yourself. To have a clear picture where we want to be in, we need to know ourselves. Moreover, Shiemann lists different aspects as aptitudes, knowledge, skills, abilities, experiences, behaviors, and interests that match occupations, hobbies, relationships, etc. We can influence our circumstances. Dr. Joe Dispenza encourages us to “cause an effect” meaning to change our internal environment (thinking/feeling) and then see how the external environment is altered by our efforts. Normally, we are into a “cause and effect” way of living where the external environment control our internal environment (thinking/feeling). Let a window to the unexpected. Uncertainty feels uncomfortable but it’s part of the process and can be exciting. Let some room for spontaneity and adventure between goals and plans. Diet and exercise. Exercise and eating healthy can be daunting with so much contradictory information, but our body never lies, and we can feel when something is not good for us. Mind. A healthy mind is so important, but a lifestyle that exacerbates stress and difficult situations can have a toll on our mind and generate somatic illnesses. Meditation is a good practice to calm and center the mind. Look into your future. The people that you copy your habits are a mirror where you can see your future reflected. If you eat like your parents, and they are healthy that’s good news, if not consider changing for the better. Look for your tribe. When we know and love ourselves, we attract people aligned with our values and activities, and they are a joy to be around. Set boundaries. When we respect ourselves, we don’t allow anyone to treat us as a doormat. Shiemann acknowledged “the key today is developing some marketable skills that can be used now while honing important life skills [communication, team work] that will be valuable over time.” Furthermore, in relationships keep growing as a person to ensure you are growing together and not apart. In our dealings with people from different walk of life, it’s normal to run into people with a distinct set of values, and we can become incompatible, but we can run into people with anti-values, and they mean trouble. Sticking to our values will protect us from these people before is too late. Being aware of our values and/or spirituality would be a filter to attract people and projects aligned with our goals toward fulfillment. Regroup. Take time to reorganize, check the facts after any setback, check your intuition, and create a new blueprint towards your goals. Support. Reach out to friends and family, people you trust for advice and solace. In addition, look for professional advice if necessary. Accountability. Look for ways to quantify and qualify your progress toward your goals, to evaluate if your actions are leading you to what you want in life, where you want to be and to feel. Be careful with your pride. As Shiemann denotes “the more public a commitment is, and the more you put your ego on the line, the harder it is to acknowledge to both yourself and others that it was a mistake.” Moreover, even though actions bring us a sense of achievement are short life if they are not aligned with our goals, but anyone else. A road-map to fulfillment starts with a clear vision in mind, but remember to include the heart and not just the brain to create short, long-term goals and actions toward fulfillment. 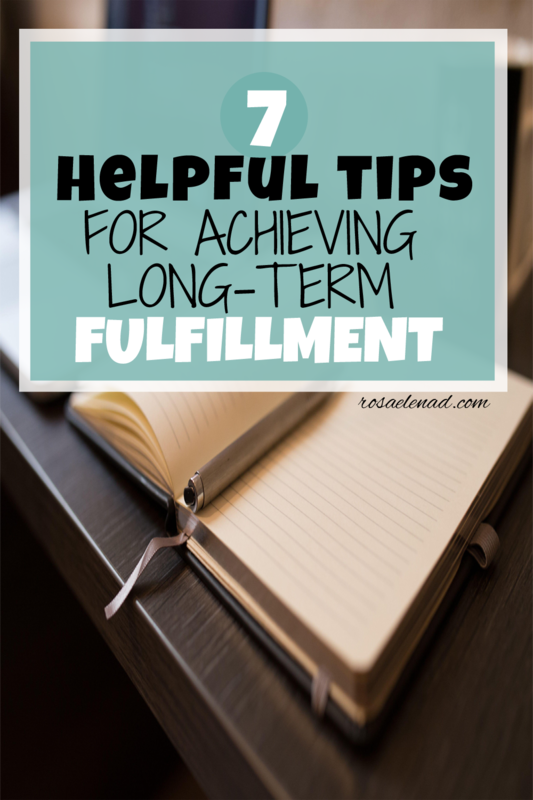 I would love to hear what your tips are around long-term fulfillment. Leave a comment!